Macie (4) is now in pre school at Rope Green Farm Day nursery and they have their first nativity this year; she has been picked to play Mary! Doesn’t surprise me as she is a little diva and loves being centre of attention. We are already learning the songs! 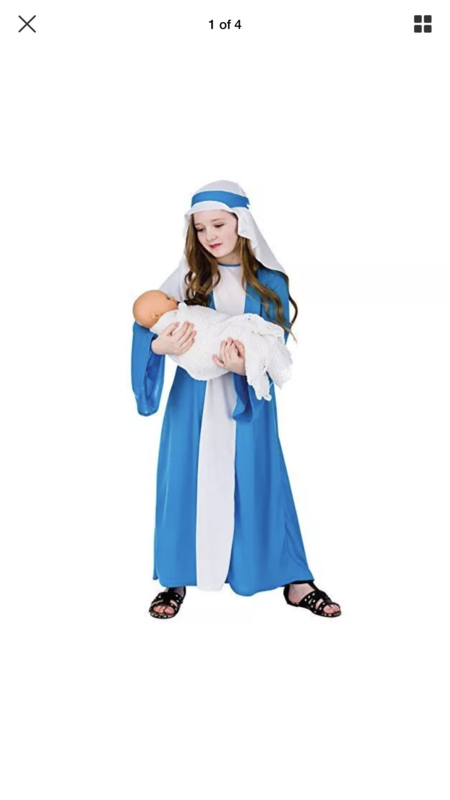 I just picked up this cute Mary costume from EBay for £8.98! Bargain! Cannot wait to see her on stage, roll on Dec 6th.